I founded in 2009 the video game modding team called HeXentic games, we were 3 persons and we decided to make some mods for our favorite games called HeXen and Heretic (and that is the reason of the name of the team). 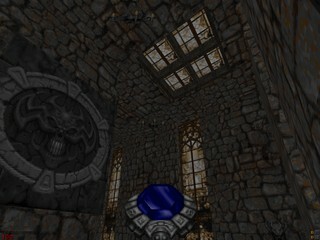 We began with HeXen Eternal Nightmare, was a really extensive and hard project, never finished and well was abandoned in middle of the process. We still having the trailer of this mod in YouTube. Taking personal directions, I made 2 mods, Chaos Sphere Worlds and Taurustar Chronicles, they were my first complete mods by myself, with resources of internet and making own decorate code (Programming process for to create new entities like Monster, weapons, items, classes, etc), and after that I made one of my biggest project in my life… The Hexen mod called HeXen 3, this was canceled in 2010 but now is currently ongoing and a demo was published back on 2010 but now there’s a fully functional demo that can be downloaded in ModDB, this was developed with the objective of create a sequel of the trilogy of the serpent riders (Heretic, HeXen and HeXen 2) developed by Raven Software. All my mods, some projects and resources are available to download in my personal mediafire folder with free to use just you must to acknowledge to me in the credits.